If you have to get a hold of us, look us up on the net. Albion 11I6 (BOX 8). We try to be as descriptive as possible for each item and represent each item in the pictures. What is your phone number and extension if you have one?. Type - D8L30. Square D Rotary Key Switch. Type - D8L80. 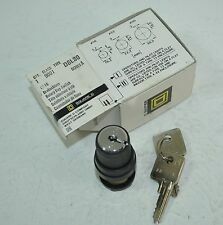 Square D Rotary Key Switch. CLASS/TYPE: 9001 KY-198. MAY NOT INCLUDE BOX, AND 1 ONLY HAS 1 KEY. Manufacturer: Square D Model: 9001 KA2 Series: K Push Lock and Keys. Albion 11J6 (BOX 18). If you have to get a hold of us, look us up on the net. We try to be as descriptive as possible for each item and represent each item in the pictures. What is your phone number and extension if you have one?. We apologize in advance for any inconvenience this may cause you. The color of the photo may vary from the actual product due to translation and reproduction limitations of photography. ONE SHOWN YOU WILL RECEIVE TWO. Square D. Schneider Electric. UPC: 785901913634. EAN: 0785901913634. GTIN: 00785901913634. ASIN: B00BYG1ONQ. MPN 9001KS11K3. This makes the import process very simple. For "refurbished" & "used" products, they are typically serviced, tested, cleaned, and ready to use (unless otherwise noted). Square D 9001KS11K3 betriebenen Schlüsselauswahlfunktion Schalter, 2 Position beibehalten. UPC: 785901913634. EAN: 0785901913634. GTIN: 00785901913634. ASIN: B00BYG1ONQ. MPN 9001KS11K3. Den Importvorgang wird dadurch sehr einfach. SELECTOR KEY SWITCH. XAL-D144 DARK GREY STATION. 2-POSITION / STAY PUT. Square D. Schneider Electric. UPC: 785901913634. EAN: 0785901913634. GTIN: 00785901913634. ASIN: B00BYG1ONQ. This makes the import process very simple. For "refurbished" & "used" products, they are typically serviced, tested, cleaned, and ready to use (unless otherwise noted). 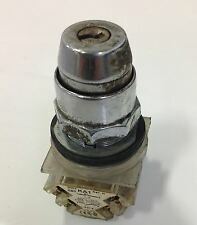 Square D Series A 2-Position Selector Switch. Model # : Class 9001 Type KS-11K1. your account number during checkout. More Information Office Hours If you do not have an account No Worries! SKU# SB-115872. 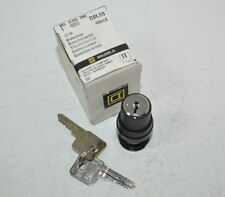 Up for sale is a Used Square D 9001 2 Position Key Switch w/ 1- NQ 1101 Key. Series K 30mm body. 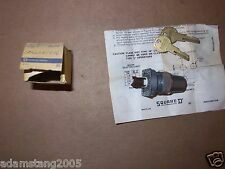 GENUINE SQUARE D / TELEMECANIQUE XAL-D144 KEY SWITCH 2-POSITION / STAY. Condition is Used. Shipped with USPS First Class Package. We are happy to quote freight costs!